The Government have planned that from April 2019, VAT registered businesses with a threshold over £85,000 have to submit their Tax digitally. Making Tax Digital (MTD) requires compatible software to make it easier for businesses to get their Tax right! It is increasingly common for business records and accounts to be kept digitally, in a software program on a computer or tablet, or in a smartphone application, or maintained through such a device and stored using a cloud-based application. 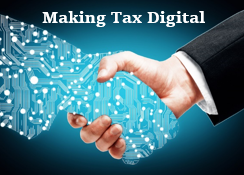 The difference under Making Tax Digital is that the software which businesses use, must be capable of keeping and maintaining the records specified in the regulations, preparing their VAT Returns using the information maintained in those digital records and communicating with HMRC digitally via our Application Programming Interface (API) platform. Season has the solution and system in place to follow HMRC regulations to ensure your company follow the mandatory requirements. 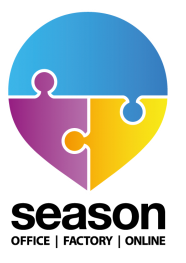 How can Season help you? Datos has been White Listed and approved by HMRC as an official supplier of compatible MTD software that will be able to provide this service and more to businesses. We have been liaising with HMRC and their regulations, and our compatible program is ready and will launch with Season 19.1.